Stand straight with your feet wider than shoulder-width apart. Grasp the dumbbell with both hands. Initially, your hands should be relaxed. This is your starting position. 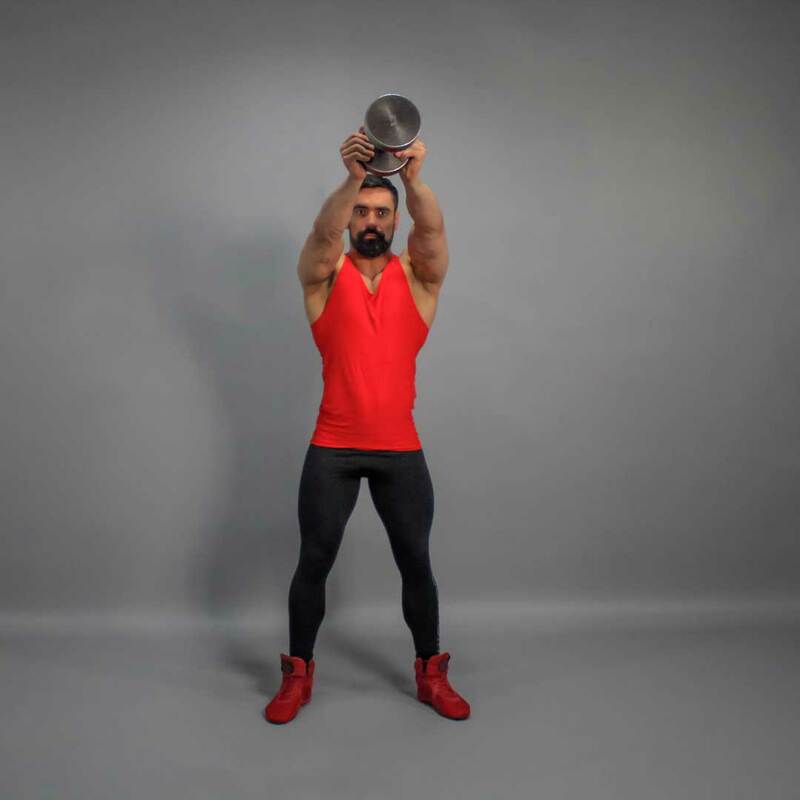 Pull the dumbbell behind your legs to give maximum acceleration to jerk. Without bending the elbow, raise your hand slightly above the shoulders. 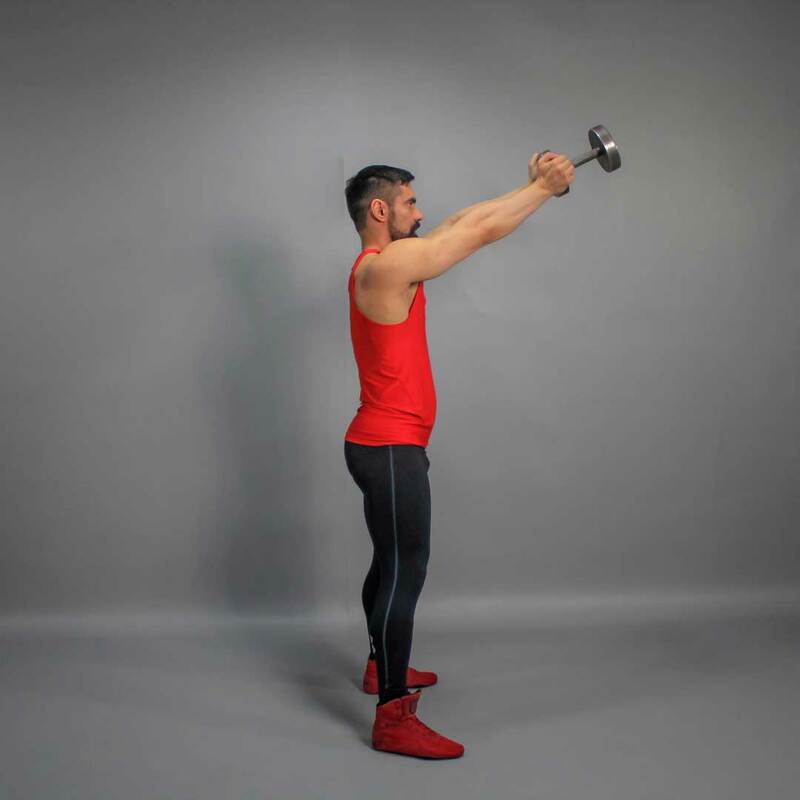 Lower the hands without bending and pull the dumbbell behind your legs.